Rushing to get ready for a long trip alters time. Everything on your to do list takes longer than you expect. But finally we are ready. Dogs safely housed. Chickens and cattle fed. Last minute chores complete. We drive away from the house. Today we are leaving for Cape York. We have arranged to meet with three pairs of our fellow travellers at 8 am. The phone rings. A breathless Suzanne apologises. They will be delayed. 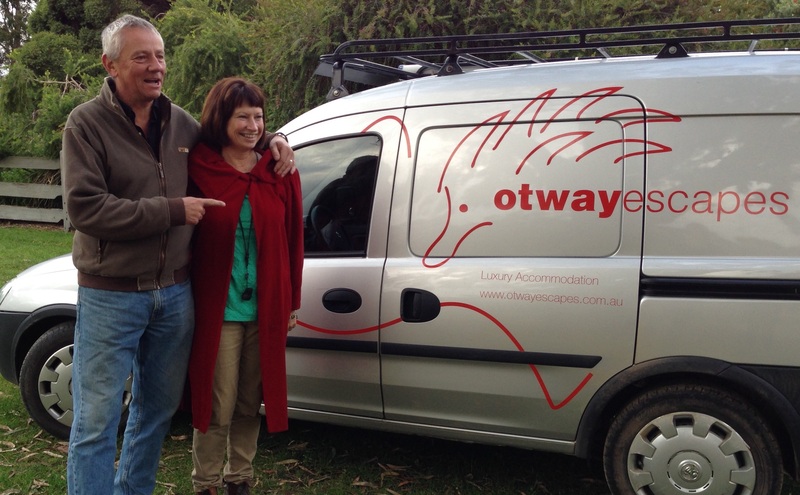 We arrive at the meeting point and are greeted by Howard and Beryl, our “tour leaders”. Standing smiling beside them are our sending off party, Brett and Christine. This time last year they were getting ready to leave with us. Desert crossing companions, they will be greatly missed, but a last minute gift, a journal, means we will take them with us on our travels. We learn that Heather and Max, who were due to leave with us today are also delayed by a recalcitrant cow and calf. We feel slightly lonely as two utes of the expected four pull away and leave Dean’s Marsh for Cape York. Our home state of Victoria is wearing her winter clothes. Pale grey clouds lie unmoving in the chill air. Weak sunlight plays on paddock stubble. I see sheep huddled together for warmth and comfort, their enviable woolly coats barely enough for this late May morning. At Creswick a biting breeze rises as we hurry to find hot coffee and toasties to help ward off the wintry weather. Leaving chilly Creswick, a long avenue of remembrance leads us on our way. Each tree marked with the name of a lost son, father, husband, brother. Falling leaves honour them with a shower of yellow, amber and gold. Falling leaves for fallen lives. Light grey and yellow limbs of gum trees embrace the road as it winds through well grazed paddocks to Smeaton and then to Maldon. A popular day trip from the city, Maldon today is quiet. Inside the oldtime shop fronts, sellers shiver in their darkened treasure troves. Kitsch rubs shoulders with quirky modern. 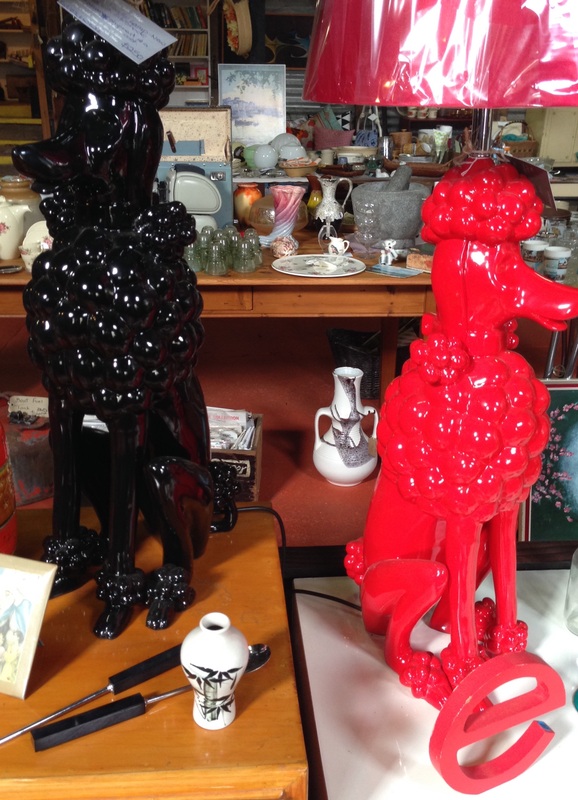 (Poodle lamps anyone?) Gluten free cakes are on offer beside traditional pea and ham soup. It’s said the best cream bun in the Southern Hemisphere can be purchased here. As we lunch, the sun breaks through. Golden rays warm the street. Shoppers slow their pace, stop to chat and enjoy the radiant heat while it lasts. We see a familiar vehicle drive by. They have arrived. Dom and Suzanne join us and then there were three. The road from Maldon passes properties belonging to independent spirited homesteaders. A pig snorts and snuffles in the front yard. Two donkeys graze in the garden. Chooks cluck in backyard chicken coops. Richard spots lovely old trucks by the score. Oh what bargains he could find here. The land is changing. Red and yellow ochre stains the banks along the roadside. We are in goldfields country. Ballarat, scene of the Eureka Stockade, passes by. Her sister city, Bendigo, is a regal old lady. She retains much of the grandeur of her bygone days. Chinese dragon museums tell of the long history of Asian Australians hereabouts. There’s gold in these hills. Wealthy citizens built in stone to the glory of God, the Queen and their own success. I wish we had more time to do this city justice. As we drive out of Bendigo, a UHF radio exchange about the acclaimed Maldon cream bun is interrupted by a familiar wit. Malcolm and Olive are nearby. They tag along as we drive by and now, count the vehicles, we are four. Yes, this is a convoy. Cuppas on the riverside at Echuca give us time to catch up on all the news before we drive on to Deniliquin, our destination for today. 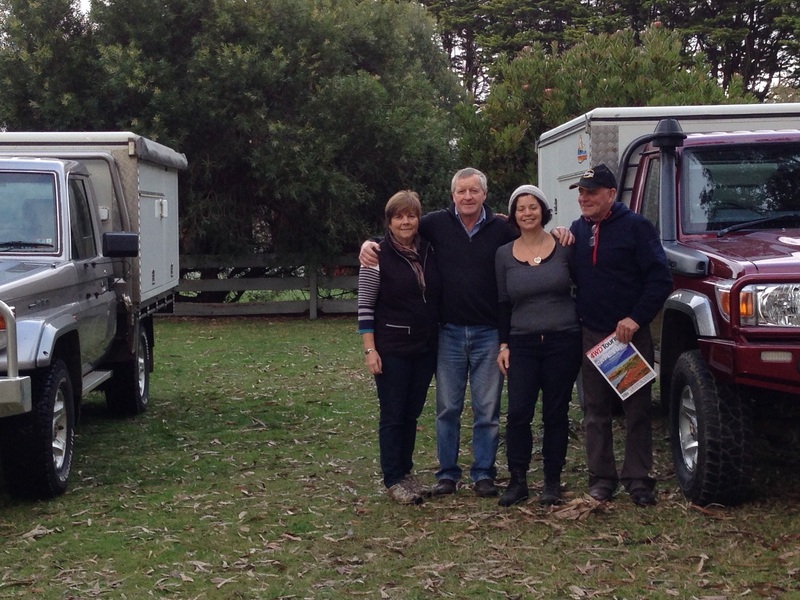 This is where we leave Victoria and cross the Murray River to New South Wales. In NSW the roads seem wider and almost roman in their unwavering directness. Easy driving. We are soon in Deniliquin. Deni Motel is the final stop for the day. The local RSL is recommended for dinner by a policeman. He stops to chat between random breath tests for passing motorists. It does not disappoint. Good food and an injection of funds for Beryl. Two dollars wagered on the pokies produces a return of ten. Take the money and run, we cry. The busy days preparing for the trip catch up with us. We retire early. Heads hit pillows dreaming of tomorrow and the Darling River. This entry was posted in Christine, Max, On the road, Suzanne and tagged Australia, Outback, Travel on 21/05/2015 by Deb McSephney. Happy and safe travels fellow “Martian’s”. Your evocative writing is up to your usual excellence Deb. Yes, I will proudly call myself a Groupie. A big g’day from everyone here, Kathy. Thanks for the encouragement! sending you loads of jolly good cheer.